I feel I might jinx us just by writing that title... but I am really hoping that we are finished with illness for a while (let's ignore the fact that the husband has just got conjunctivitis, that doesn't count). Since October we've had one thing after the other with few breaks in between. I can hardly remember a day when all four of us have been healthy. Normally I manage to blog through the illnesses, but last week, Felix was so poorly with a virus there just wasn't the time or the energy. For four nights in a row he barely slept.. and of course, neither did we. 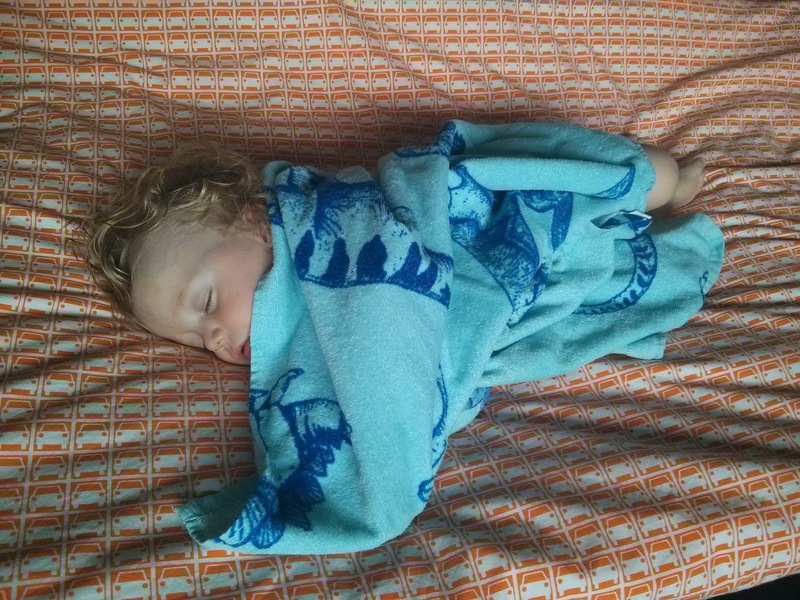 I've never known him to be so ill, not even when he had chicken pox at 7 months old (and that was rough). He wouldn't be put down, he would only sleep on us. His temperature was around 104 for 4 days. He stopped drinking his milk and eating. We could only get sips of water in to him. He had vomiting and diarrhoea as well. Honestly, it was horrid. He finally turned the corner on Saturday and last night (Monday night) he finally slept from 7:30pm-5:30pm with not waking up. I think (touch a lot of wood) that we are back to normal. So... that's why it's been so quiet here on the blog lately. I hope you will forgive me. Trendy Thursday will be back this week. I do hope you will join in! I have some blog posts in my head just wanting to be written. I'm not feeling quite up to my creative self yet - I think last week is still having an effect on me and most of all I just want to lounge around not thinking and watching Breaking Bad! I hope I'll be back to my normal blogging self soon. I'm off to check out some of my favourite blogs now and see what everyone else has been up to! 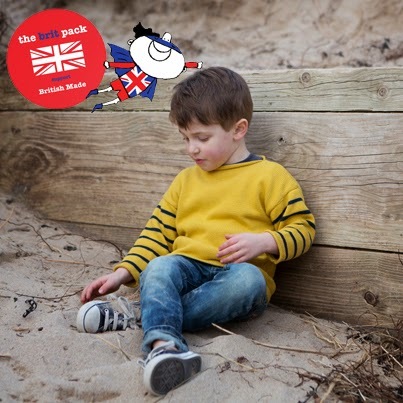 The Brit Pack is currently formed of 14 brands including: Grubbies, Eggnogg, Helen Gordon, Picaloulou, Tweedies Originals, Immink, White Rabbit England, Funky Feet Fashion, Hop & Peck, Carddies, Project Jelly, Wild Things Funky Little Dresses,Michiko and Me, and Little Ponchos. 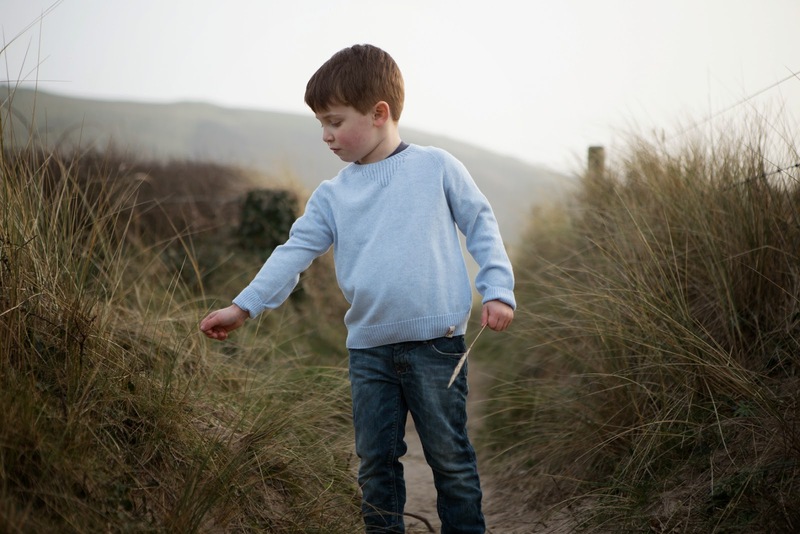 Choose between the unisex cotton and cashmere crew neck in sky blue, taupe, claret, or the Breton Stripe in Yellow & Navy, Green & Navy, Navy & Red. After growing increasingly frustrated by the poor choice of knitwear on offer, Shireen Cunliffe set up Picaloulou. Driven by intuition, creativity and passion, she set out to produce stylish but understated knitwear collection that was beautifully made from soft, natural yarns. 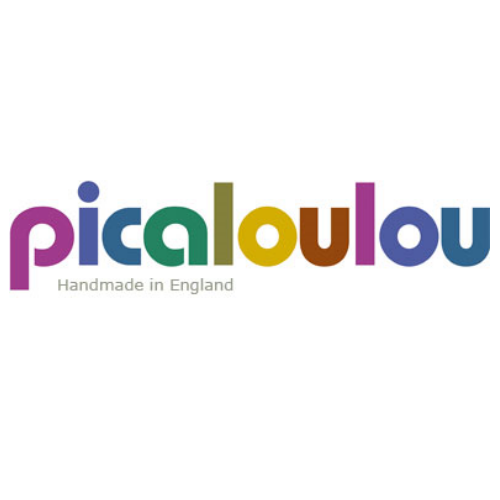 A firm supporter of British made, Picaloulou employ British knitters, using the finest British yarn. For further information visit: picaloulou.co.uk. You can also find them on Facebook and Twitter. For an opportunity to WIN the next prize on #TheBritPack Easter Blog Hop, head over to MAMAGEEK on Friday, 18 April ’14! When we asked Ethan what he'd like for his 4th birthday, he told us, "a trip to Legoland please!". No problem, we said! 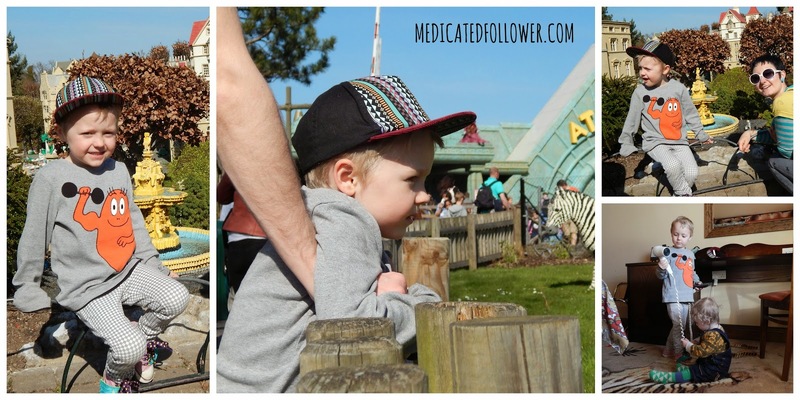 The trouble was, Ethan's 4th birthday fell only a few weeks after Felix was born... and we just couldn't face the thought of dragging our tired selves and a newborn around a busy tourist attraction in mid summer... it just didn't seem like a good idea. Besides, Windsor is almost a two hour drive from where we live. Doable in a day, but not ideal with a young child and baby. It had to be put on the back-burner. We felt bad postponing Ethan's birthday treat, especially when we hadn't been able to organise him a birthday party, well, not one with friends (we had a small family get-together) for him (again, we're blaming Felix and tiredness here!!) so to soften the blow, we told Ethan all about the Legoland Hotel. How it was themed. 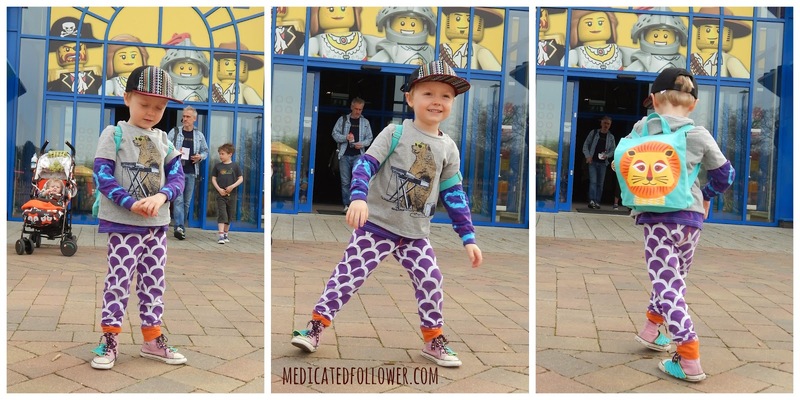 We told him that we wouldn't be going for a while, but that when we did go, it would be a mini holiday, a fantastic family weekend filled with Lego themed fun. Who doesn't love having something to look forward to anyway? Shortly after Christmas, we booked up our Lego getaway. We plumped for a weekend in March, chose and Adventure themed room, marked the date in our diaries and then looked forward to it! It's amazing how quickly time passes. Last Saturday our time had come! It was the great day of the Legoland adventure! We set off as quickly as we could in the morning, which as anyone with young children knows, wasn't as early as maybe you'd like, but hey, that's family life! 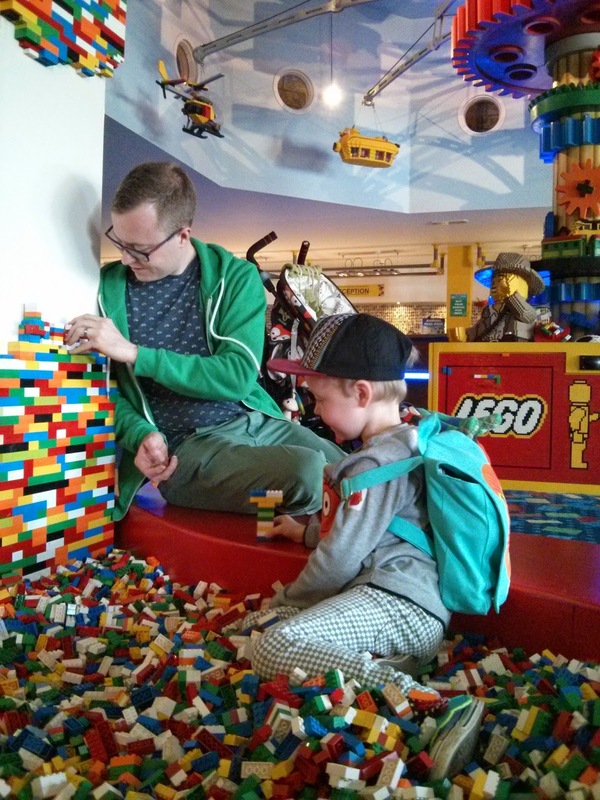 We got ourselves to Legoland for shortly after midday and our fun began. On arriving at the Legoland site, the excitement in the car was palpable. I believe Pete and I were just as excited as Ethan who was leaping about in the back asking if EVERYTHING would be made from Lego. 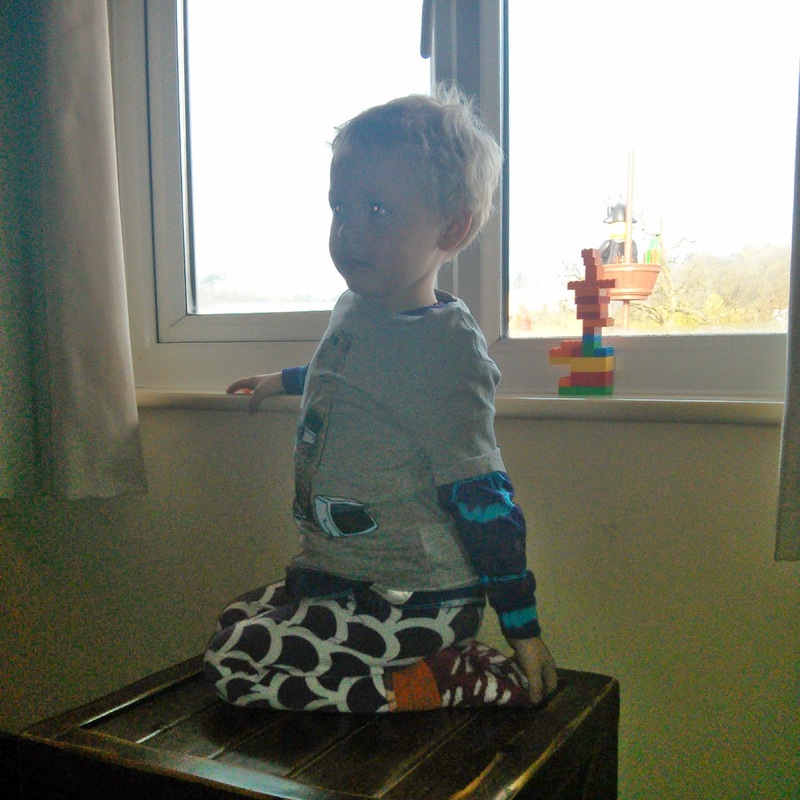 Felix didn't know what was going on of course, but was picking up on our vibes and shouting out his cute gobbledygook words peppered with the odd GRANDDAD and CLOCK (he often shouts these just because he can). We parked up and walked to the hotel entrance. THERE WAS A HUGE LEGO DRAGON THAT BREATHED ACTUAL SMOKE ON US AS WE STOOD UNDERNEATH!!! Ohhhhhhhhhh, we knew this was going to be good. When you get into the reception of the hotel, you are greeted by jolly music and a large Lego pit for the grown-ups kids to jump in play with. This is a fantastic distraction technique when adults are dealing with the boring tasks such as booking in. Once we'd confirmed our arrival at reception we headed off for a quick lunch at the restaurant before hitting the park. 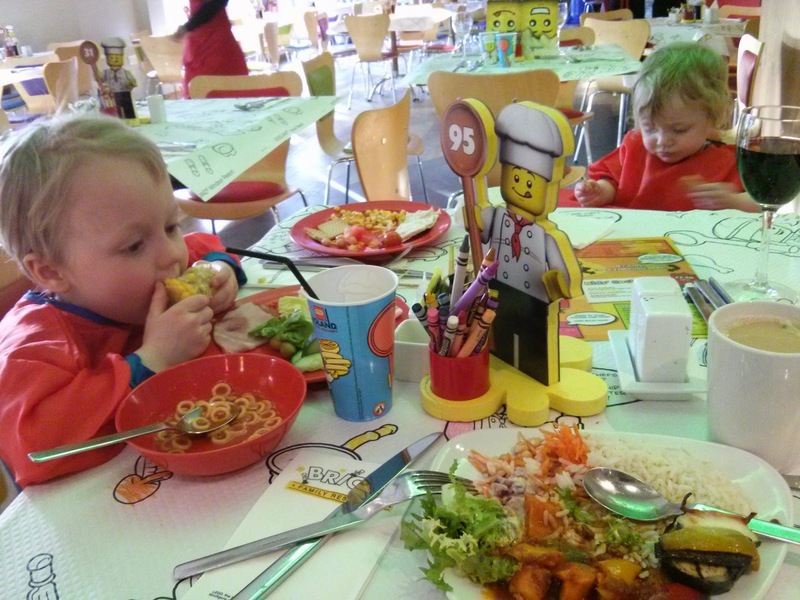 Lunch was a tasty affair but in all honestly we were all distracted - we just wanted to get into Legoland Proper! We ate up and within 45 minutes were strolling into the park. Say whaaaaaaaaaaaat? 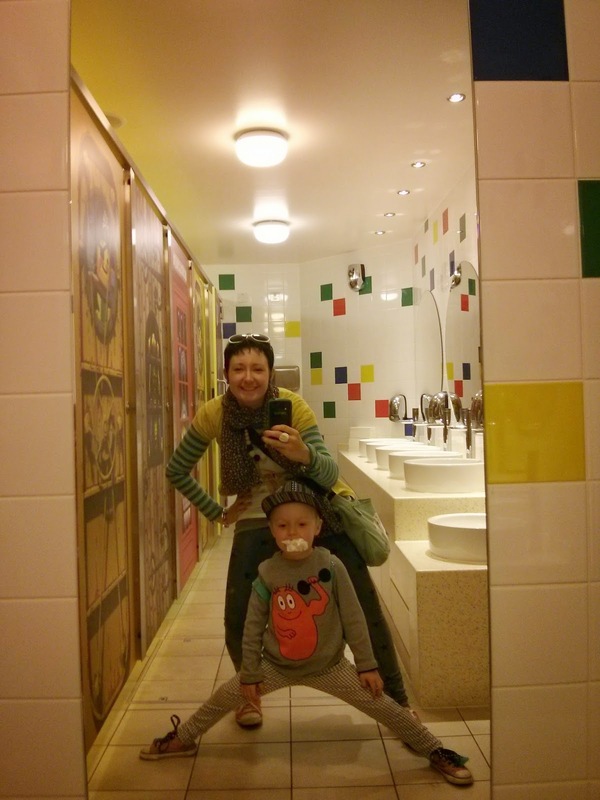 Lego Themed Toilets Yo! Messing about. One of the coolest things about staying at the Legoland Hotel is that you are right in the heart of the park. You can even enter through a cool back entrance making it really quick and easy to get in. Total bonus. 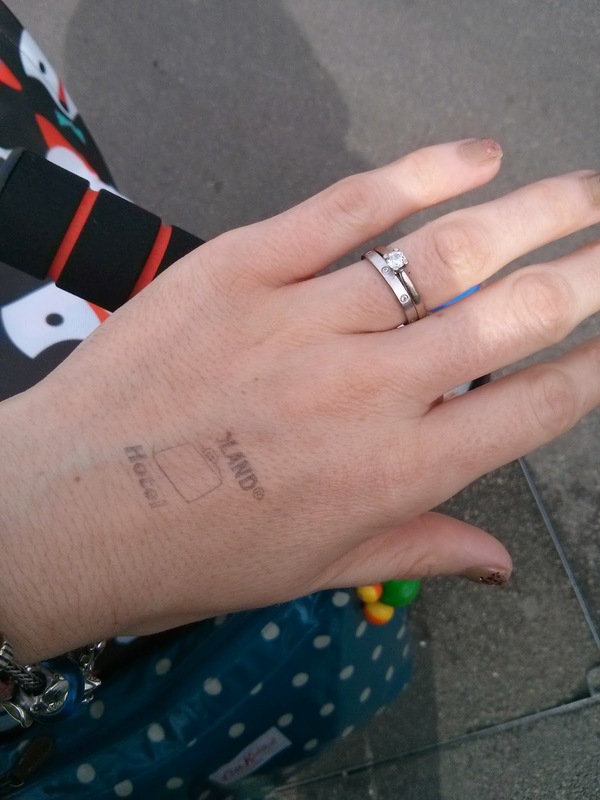 It also means you can come and go if needs be - you get your hand stamped. Very handy when you are with children. If you run out of nappies, food or even get tired, you can run back to your room for a bit. We mostly got our bearings on the Saturday knowing that we had the whole of Sunday to enjoy the park as well. One of the other bonuses of the staying at the hotel, you see. You get two days entry to the park. When we checked in to the hotel, we took the receptionists advice and booked a table at the hotel's restaurant, Bricks, for 5 pm. We were glad we booked. Within 10 minutes of us taking our table it was getting busy. The restaurant is very family oriented with a paper tablecloth covered in Lego drawings to be coloured in with the crayons provided. It was an all you can eat set price buffet affair which was very suitable. There was a great deal of choice, plenty for adults and children alike, accounting for all tastes. We felt that despite it not being cheap (£18.95 for an adult and £7.85 for a child) you did get value for money. The staff were exceptionally polite and helpful. We were happy! After stuffing our faces a delicious meal we retired to our family room for the night. This was just as exciting as the park. 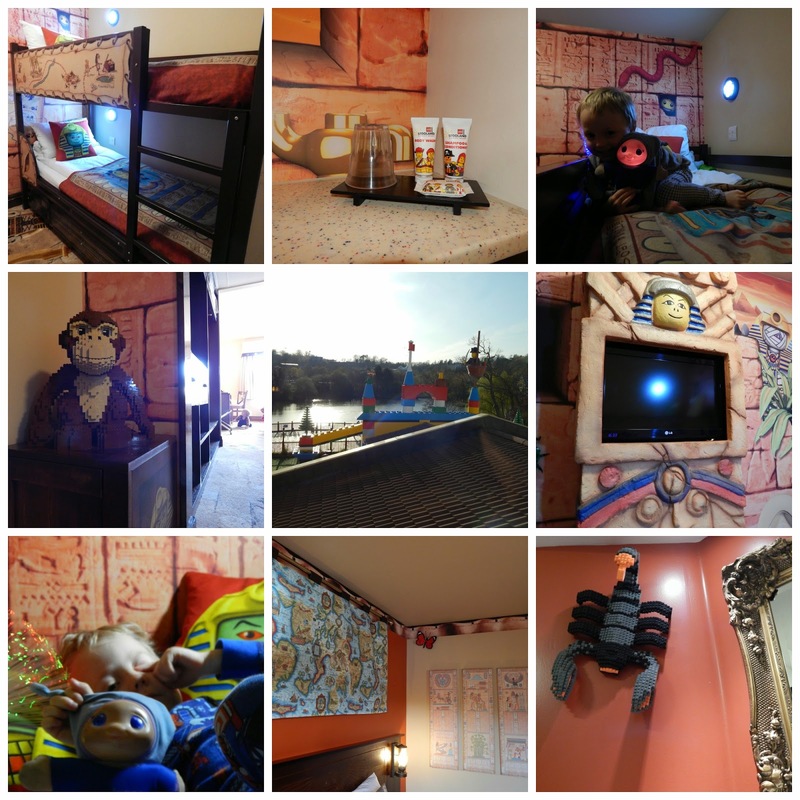 The hotel has themed rooms. Ours was adventure themed. We travelled up in the lift which talks to you, something Ethan found hilarious! The family rooms are a great set up. As you walk in, the children's section is on the right with bunk beds, a pull out bed and space for a cot. We had a cot brought up and set up by staff at the hotel. They even provided a sheet (something no where we've been before has provided). There is a separate TV for the children and themed bedding on the beds. The walls and carpet all fit the the theme of your room and there are loads of Lego models (obviously glued together!) around the room. Continuing on from the children's section you have wardrobe/cupboard/drink making facilities on the left and the bathroom on the right. The bathroom was not big, but it was well set out and of excellent quality. Plenty of towels were provided and the complimentary toiletries had Lego characters on them! At the end of the room you have the "parents" section comprising of a large desk and draws, a good sized double bed and a wall mounted TV. Our bed was very comfy and whilst we decided to spend the evening reading and chilling out, we felt you could easily have had the TV on (quietly) without disturbing the children. Perhaps the best thing about the room was the treasure hunt. We discovered a sheet of paper with a set of questions on which, when answered correctly, would provide us with the passcode for the safe in which a prize was contained. Ethan had a great time answering the questions to get the correct number for the safe (such as how many snakes can you see on the carpet) and on opening the safe, found a Lego gift set which made his day! Which reminds me - a big box of Lego is provided in each room for guests to play with - but not take away! Though the set from the safe is yours to keep. Sunday dawned after a reasonably restful night (we have a 10 month old who doesn't sleep through remember) and we were all super excited to grab breakfast and hit the park again. We woke up to sunshine and really couldn't wait to get going. Breakfast was provided as part of our package and was served in the Bricks restaurant. Again, it was a buffet affair. We were bowled over by the choice; cooked breakfasts, toast, cereal, fresh fruit, waffles, pancakes, juice, coffee, tea. Everything you could want really. A great way to make sure you had enough fuel to make it around the park! As hotel guest, we were allowed to enter the park from 9 am (it opens at 10 am officially). We didn't manage to get in quite that early, but after checking out we did manage to make it in there from about 9:50. Those extra few minutes did make a difference. The park was quiet and our first few rides of the day were made without queuing which made things very pleasant. The day passed in a busy happy blur. Ethan enjoyed going on rides and visiting all the different sections of the park. He loved Miniworld (he's always been fascinated by model villages and this is like the ultimate model village!). We all enjoyed a submarine ride. It was something all of us could go on as a family. Felix spent the whole time pressed up against the glass cooing at the stingrays. We got wet on several rides - just as well it was warm and sunny! We were constantly impressed with how polite the staff were. We did NOT want to go home. Not at all... but we had to. With heavy hearts.. however, we know that we WILL be going back. No doubt. We will probably wait until Felix is a similar age to Ethan. At that point Ethan will be around 7/8 so still of an age where he will enjoy it. Mind you, if we had the money and the opportunity, we'd go back sooner, I'm sure of it. Would we recommend it? 100% hands down, YES. It isn't cheap, especially if you stay at the Lego hotel. However, it is special, and the people at Lego really work hard to make that so. There is so much attention to detail. Every effort is made to make your visit special. My recommendation is that if it means saving for a few months more, do so. I think your trip will benefit from staying at the hotel on site. From getting the really easy access to the park, the early entry, the ability to come and go, use of the pool in the hotel (themed - we didn't get time to try it but want to next time) to just feeling that little bit special and exclusive. 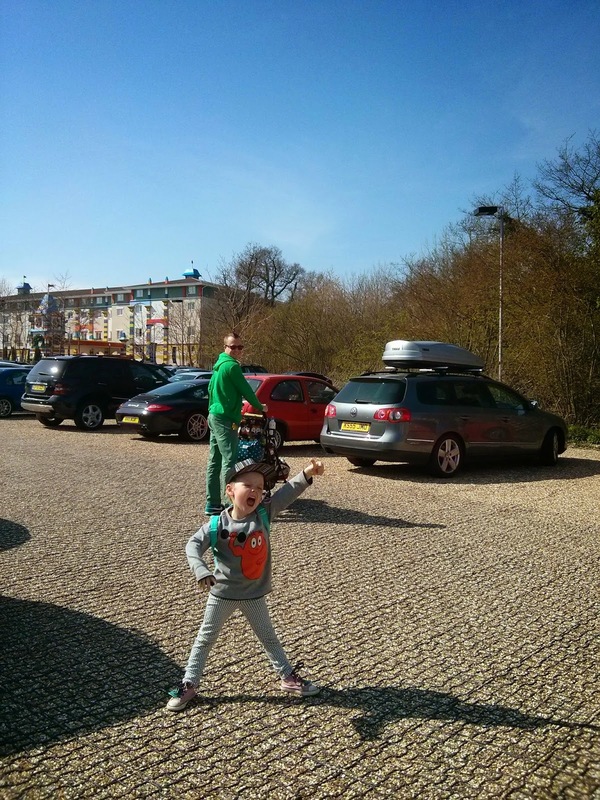 A BIG thumbs up to Legoland and the hotel from us! I am so glad I picked up the cap for him in Asda a few weeks ago. It was the only one there in that style and cost something silly like £2 and I think it looks so fantastic on. The colours are great and the pattern really on trend with a tribal feel to it. It goes with pretty much anything and of course, keeps the sun out of his eyes! 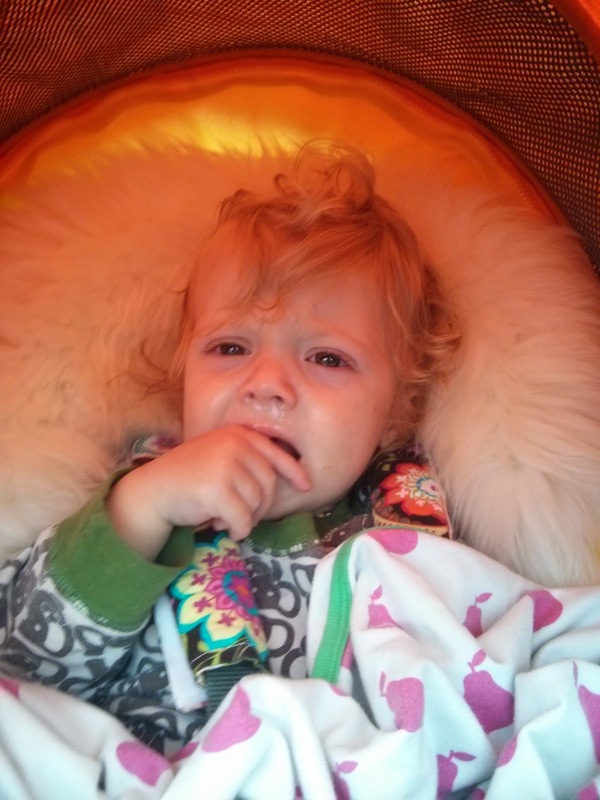 Ethan loves to wear his Coq en Pate Lion rucksack when we're out and about. Originally I bought it for him to use at school, but he doesn't really need it due to having a book bag. It's too gorgeous not to get used though, so it comes out with us when we go out. Ethan likes to carry a bottle of water, his Gloworm and some paper & pens in it.. and whatever other treasures he has! It's great because it's just the right size for him. The bear t shirt from GAP is one Ethan picked out himself last year. I got it in their sale for about £2 so a bargain. Such a different image on it as well. Who doesn't love a bear playing keyboard whilst rocking some sunglasses?! What have your little funky monkeys been rocking recently? Link up below so we can all find out! Please don't forget to comment here and visit others who join in - oh, and if you haven't, why not grab the Trendy Thursday badge to display on your blog? 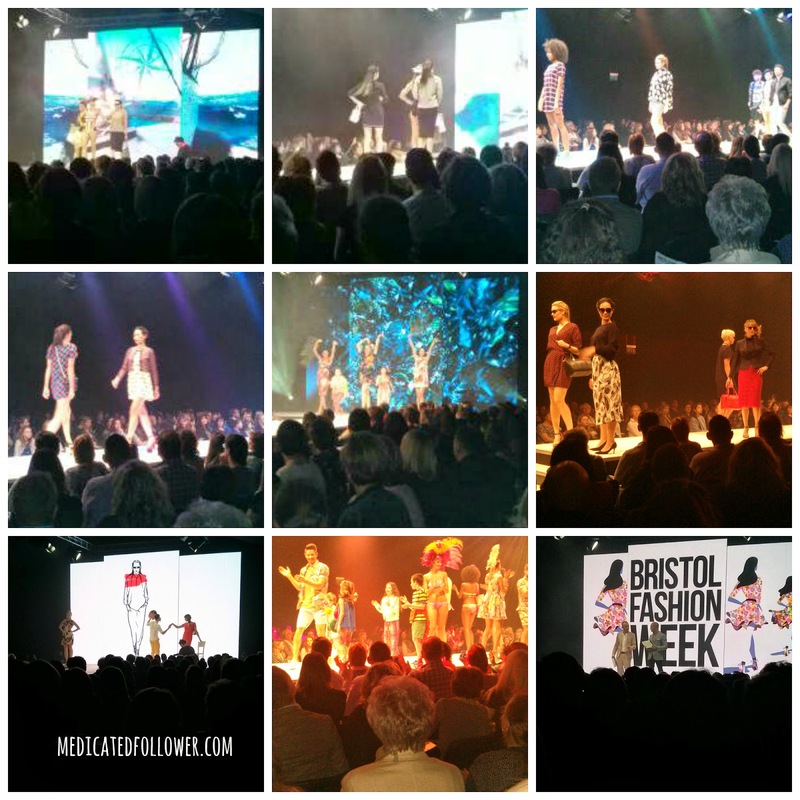 Last Friday I was very lucky to attend one of the catwalk shows that made up part of Bristol Fashion Week SS14. 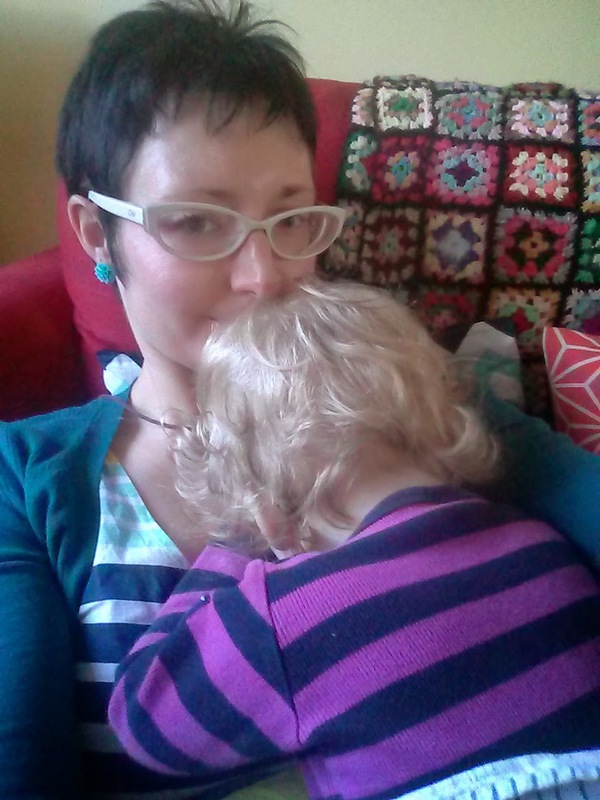 I had a great deal of stress getting there (nothing is easy with two children!) but once I got there, I sat back in my seat and enjoyed the show. And what a show!! I was impressed by the quality of the models used. They were all shapes, sizes and ages and great fun to watch. There was one male model in particular who kept busting out killer moves, leaping all over the catwalk like a gazelle on a rather funky run from a lion. Loved it! The show was hosted by Mark Heyes and Andrew Barton who I loved. They were a hilarious double act, bouncing off each other, teasing the models. It really brought a fun edge to the show. I loved their style advice and titbits offered between catwalk runs. It was also particularly lovely to see they had given a make over to one very deserving lady who has been through breast cancer. Very touching and I loved the fact they were planning to take her for a pint and get her drunk after the show!! What tips did I pick up? Well, Nautical is in again, as it often is for Spring/Summer. However, instead of mixing the blues and whites with the traditional red, this season it's all about mixing it in with yellow. Something I'm very up for as I love a bit of yellow. Thinking about it, my Boden jacket would fit in perfectly with this being navy, white and yellow! Big brush stroke patterns and bold colours are still in and it's super on trend to clash patterns - far beyond what you'd normally go for. Be bold and brave. Clash it and then clash it a little more! Don't forget some bright neon as well if you're feeling brave! I'm afraid I was in such a rush I forgot my camera so I've only got photos from my phone which doesn't cope well in dark conditions, but hopefully it will give you a taster. If you get a chance to attend a fashion week catwalk show, go for it, I say. Great fun and a good way to see fashion on the move and pick up tips.